We are a premier travel technology solution provider based out of India with offices in Hyderabad. Our travel ERP solution, a comprehensive travel management and distribution system for tour operators, travel agents, travel management companies, inbound & outbound travel agencies etc. Ever since we’ve launched our services in travel and hospitality industry, we started working on tailoring projects to our prospective clients are enquiring us about what type of features, services, business models is suitable for their business needs. We also call the customized website as an independent website (or custom developed website). With this page, which is a simplified enough to make it easier to understand even by the non-technology background clients, we are trying to help our client in decision making process . We have client base of 40+ midsize to large scale esteemed customers across the globe which include Asia, Middle East, Latin America, Europe and Africa. We are building the sophisticated travel technology platforms for the Banks, Wallets, Travel Agencies, Corporate and startup Businesses in global market. Currently 350+ clients consuming the Travel Services successfully. Having experience in working on 57 api suppliers from global market including all GDS Systems. We provided technology services to Indonesia, Saudi Arabia, UK, Florida, Mexico, Bangladesh, Australia, Cameroon, South Africa, Algeria, Kenya, Nigerian markets. Currently we planning to implement AI/Chatbots in the travel and hospitality industry. 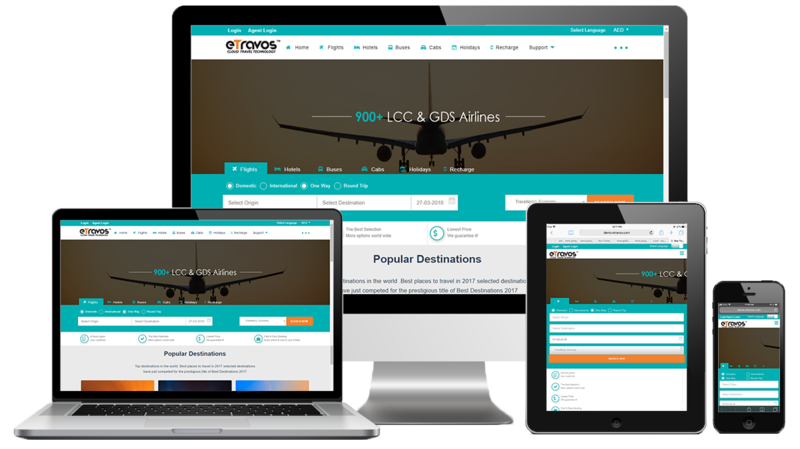 We have experienced in integrating LCC and GDS airlines to many clients travel portals. We have worked on airlines, hotels, car rentals, sightseeing, transfers and different payment gateway suppliers in current global market. Few of the API's of we worked are, BedsOnline, HotelsTon, FastPay Hotel, GrnConnect, RoomsXml, AxisRooms, Zumata, TravelFusion, Kiwi, Mystifly, TBO, Amadeus (South africa, Saudi, Iraq, India), Sabre (Bangladesh, London, India), Travelport (India, Iraq, Saudi), CarTrawler, AVIS, OYO, MakeMytrip, Expedia etc..
Who need the custom travel portal development? Sales Channels – Online B2C, B2B, G2C, B2B2B, B2B2C, Offline Booking, XML out, Call center/front desk, Mobile applications. Solution to manage both 3rd party suppliers and your own negotiated contracts. What we get in Custom Travel Portal other than client specific? Go online in few weeks as per the requirement. Increase or Decrease your mark ups as & when required.